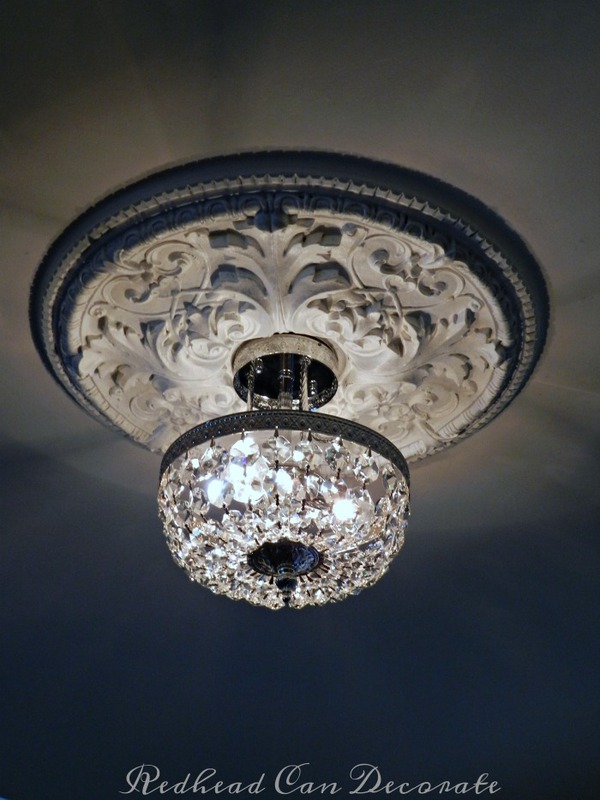 I can honestly say that I have found the “Prettiest Light Fixture Ever”. 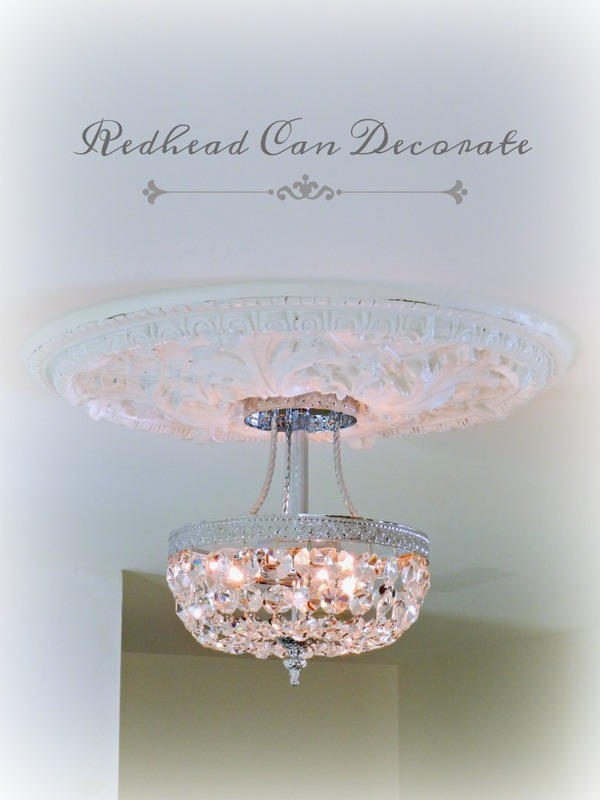 I have been so excited to share this light fixture with you for a couple weeks now, and today is the big reveal! 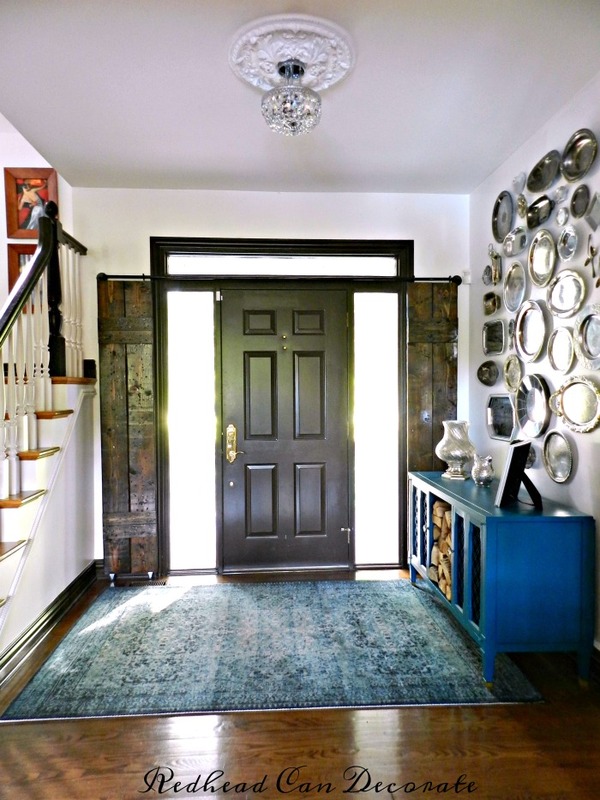 I have searched far and wide, near and far, up and down, right and left (you get the idea), and I have had the most difficult time finding a light fixture for our foyer. 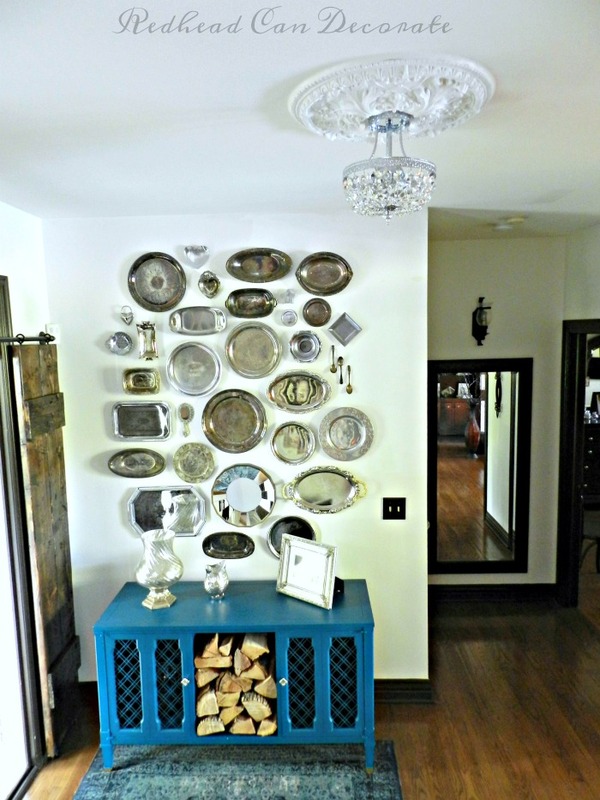 You see…it’s not just an ordinary foyer. It has a lot of personality and sometimes the personality gets too big for it’s britches. Therefore…I have to be very careful what we hang there. I haven’t gotten it right until now. Here’s the light fixture before. You may notice it’s a little cut off, but that’s mainly because I didn’t want it in the photo. Okay, so it’s not THAT bad, but you have to admit that there is ALOT going on in that foyer. From the rug, to the Thrift Store Silver Platter Wall, to the staircase, to the Teal Console, to the DIY Rustic Wood Shutters—-> it’s ALOT. So, a long pendant light such as this really isn’t needed, or wanted. Why did I put it there? I have no idea (by the way I am selling that light fixture on my Facebook page). I finally put my foot down, and decided to go shorter, and almost flush to the ceiling. I’ll dim the light so you get the full effect. I’m not sure I’ve ever discussed the medallion on the ceiling, but that was there when we moved in. Some days I love it, some days I don’t. I’ve painted it a few times, but it looks best pure white. I think it really looks beautiful behind the glass crystals. And here it is off, but still so stunning. Especially up against the fancy silver platters and rustic wood shutters. It almost looks like it has been there for 100’s of years. I want you to know that it was extremely easy for us to install. My husband took care of the electrical part, and I hung the crystal glass beads which all together took about 30 minutes total time for us. The beads are stunning…and pure hand cut glass. They were wrapped very securely for delivery and extreme care was taken with each detail of this light fixture. In my opinion it is worth every single penny. Here’s the photo that stole my heart. It reminded me of an upside down crystal Waterford bowl that my dear brother gave us for our wedding. Here’s the bowl I’m referring to. See it there on the island? Now you know why I had to have it. Let me know if you think I made the right decision. 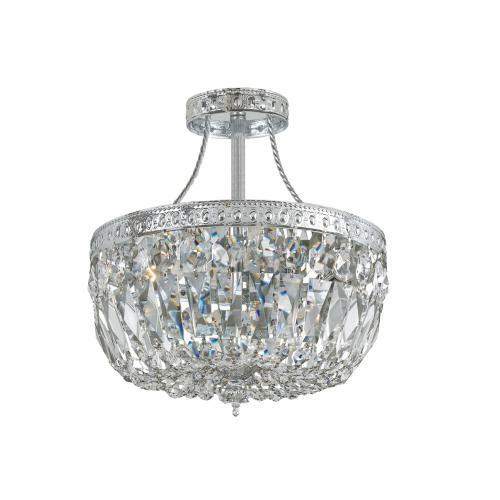 Don’t forget to stop by Hansen Wholesale for hundreds of beautiful light fixtures, ceiling fans, and fireplace supplies. I think your new light is beautiful! I can’t stop looking at it, Cindy. I play with the switch constantly, lol. Lovely, it gives that unexpected, “Pop”! Perfect, Julie! I love it! 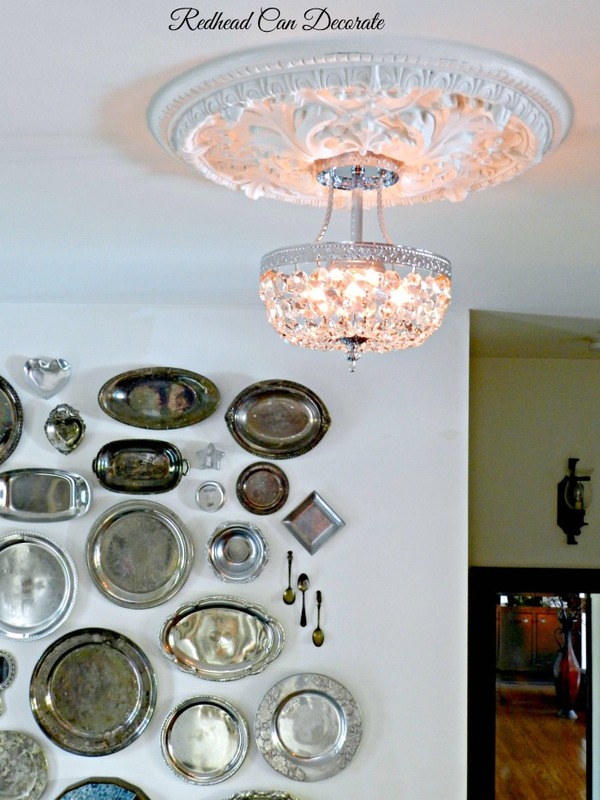 The medallion and the platters beautifully coincide with the fixture. You certainly picked the right one! I was hoping it wasn’t “too much”. Thank you, Nancie! You are absolutely right. It’s just what was needed, the perfect touch of BLING! Gotta love that bling! Thanks for stopping by, Anne! I really love your new light. Good choice!! Hope you feel better soon. Absolutely stunning! You done good girlie! Love it! 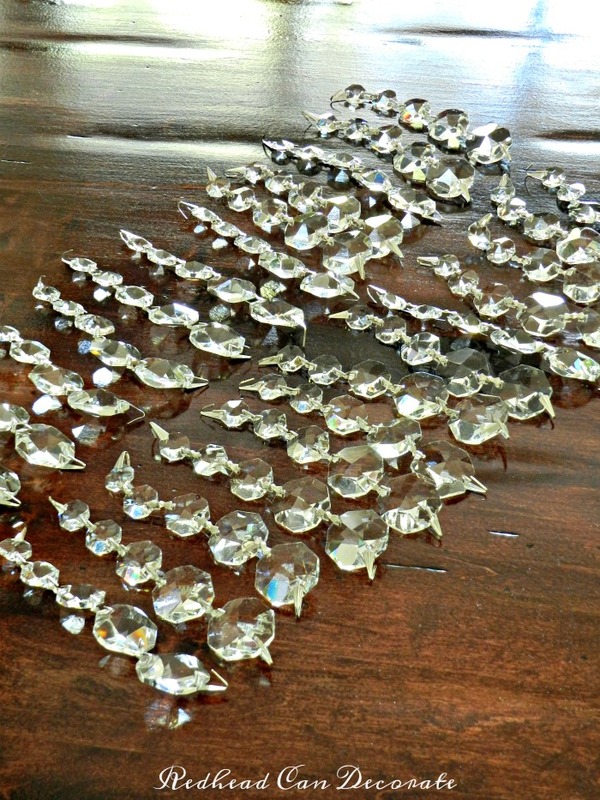 Now I need to get inspired to paint out my brass chandelier. 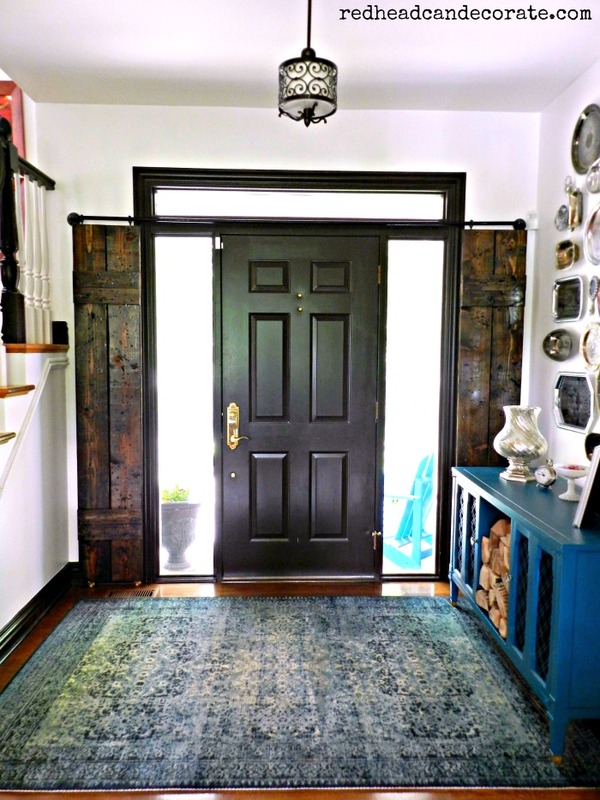 What colors are the best for resale these days?Your decor works so well together. Thanks for all the great ideas. Feel better soon! Thank you. Jean…how about black or white? But wait…brass is pretty popular right now! ALL I CAN SAY IS WOW !!!!!! YOU DID GOOD GIRL…..GOD BLESS…. Thank you Dad…wish you could see it in person. 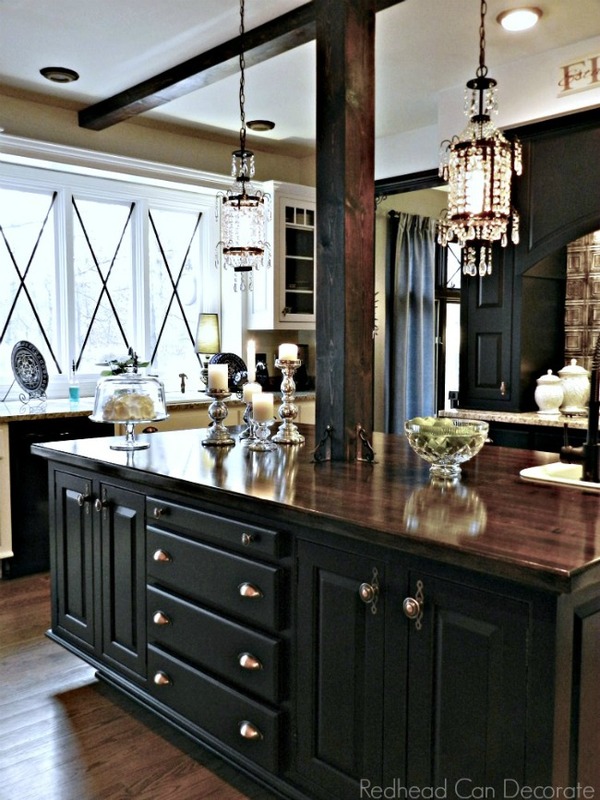 I love your light fixture- it’s stunning &sparkles so beautifully. I also love your shutters & the colour of your consul table. Love the light. We just hung what I ordered for the hall yesterday and they are so much alike. Will try to attach a photo if possible.? Breathtaking! I love it, and as always, you made a great choice.